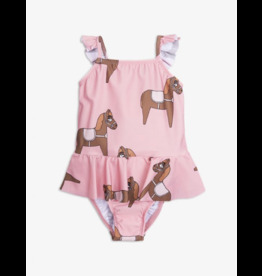 Your little critter will be protected from the sun while sporting this trendy lobster two piece UPF 50+ rashguard set. 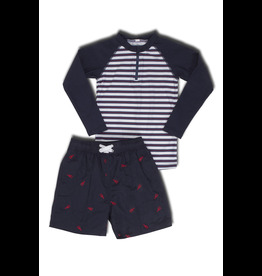 The long sleeve rashguard is navy/red/white stripe with navy sleeves. Mock neck and front zip provide extra coverage and functionality. 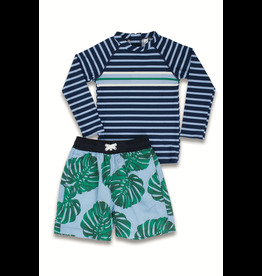 Let these fun botanical leaves protect your little critter from the harmful rays of the sun while wearing this UPF 50+ rashguard and swim short set. 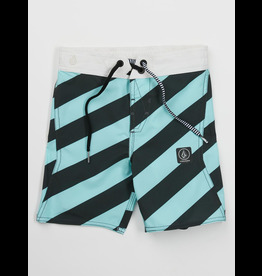 This navy and light blue stripe long sleeved rashguard top has mock neck with back zip for extra coverage. 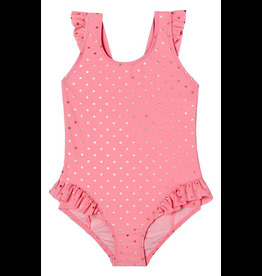 Tiered ruffles frill a berry- and flower-print swimsuit finished by a sweet bow in back. Vibrant tie-dyed and batik-inspired prints give a playful boho vibe to a two-piece swimsuit featuring a skin-protecting rashguard top. 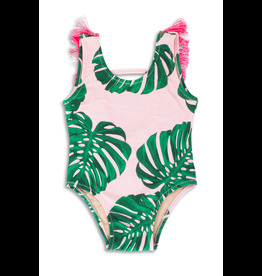 Knotted fringe furthers the playful boho charm of a splash-ready swimsuit featuring a vibrant mix of tie-dyed and batik-inspired prints. 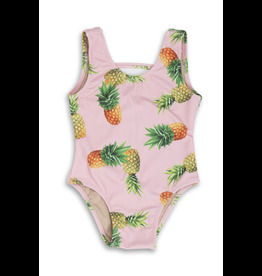 Contrasting flower-print ruffles add to the charm of a two-piece swimsuit in a fresh and pretty raspberry print. 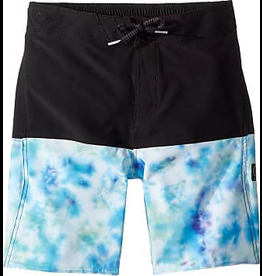 A tie-dye print enlivens a two-piece swimsuit featuring a floaty top that ties behind the neck and classic bikini bottoms. 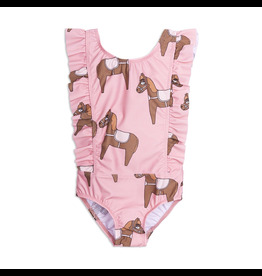 Shimmery golden stars pepper a sweet one-piece swimsuit trimmed with ruffles at the straps and leg openings. Shimmery golden stars twinkle across a ruffle-sleeve tankini top styled with a cute crossover detail in back and paired with matching bottoms. 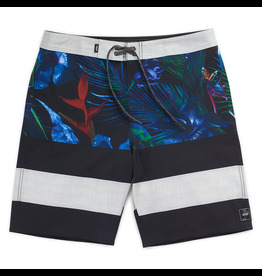 A bird-of-paradise print gives a tropical vibe to a splash-ready swimsuit sweetened with scalloped trim. A vibrant floral print and pompom trim give a playful boho vibe to a two-piece swimsuit that's ready for the beach, boat or pool. 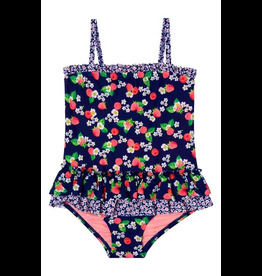 A vibrant floral print patterns a cute one-piece swimsuit frilled with pompoms and ruffles at the neckline.